RISS recently partnered with the Institute of Scrap Recycling Industries (ISRI) to provide access to ScrapTheftAlert.com through the RISS Secure Cloud (RISSNET). The agreement provides access to the alert system to authorized RISS users in the more than 9,000 RISS member agencies. ISRI represents over 1,600 private, for-profit companies operating at more than 3,500 facilities in the United States and 34 countries worldwide. ISRI members process, broker, and consume scrap commodities, including metals, paper, electronics, plastics, glass, rubber, and textiles. ISRI provides education, advocacy, safety, and compliance training and promotes public awareness of the vital role recycling plays in the U.S. economy, global trade, the environment, and sustainable development. $2.1 million in property. Additional information regarding ISRI can be viewed in the brochure below. “Through the use of RISS technology and a great partnership with ISRI, RISS is able to assist in the expanded access to ScrapTheftAlert.com to the nation’s law enforcement,” said Don Kennedy, Chair of the RISS National Policy Group and Executive Director of the New England State Police Information Network (NESPIN) RISS Center. RISS is proud of this important partnership and is pleased to offer this valuable resource to its members. 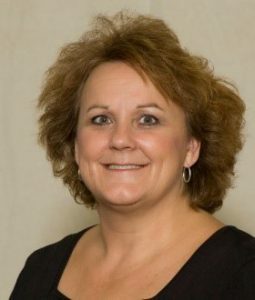 RISS is proud to announce the selection of Ms. Diane Miller as the Deputy Director for the Mid-States Organized Crime Information Center (MOCIC) and Mr. Val Biebrich as the Deputy Director for the Rocky Mountain Information Network (RMIN). Hired in January 1981, Ms. Miller has nearly 37 years of service with the organization. She is the longest-serving MOCIC and RISS employee and has witnessed the growth of the MOCIC/RISS Program from its inception. When Ms. Miller started with MOCIC in the early 1980s, information sharing between law enforcement officers was a relatively new concept. Selling the idea of sharing intelligence with other law enforcement agencies via a third party (MOCIC) was not easy. Trust and intelligence sharing were cornerstones of the concept being marketed, but it did not take long before members began to see the value of the organization. Raised in northern Virginia, Ms. Miller attended Baptist Bible College in Springfield, Missouri, and enjoys living in the beautiful Ozarks. 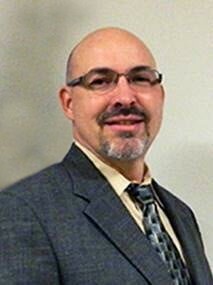 Mr. Biebrich served as the RMIN Center Manager for the past 11 years. In that capacity, he was responsible for overseeing all activities, including the center’s investigative support services, information sharing efforts, and administrative responsibilities, within the RMIN Center located in Phoenix, Arizona. Mr. Biebrich was instrumental during RMIN’s transition to a 501(c)(3) organization and has helped lead the center’s mission and goals. Mr. Biebrich came to RMIN after serving 20 years with the Arizona Department of Public Safety. He has a bachelor of science degree in global business from Arizona State University in Tempe, Arizona. RISS congratulates these two individuals on their accomplishments, hard work, and invaluable contributions to the RISS Program and its mission. The RISS Money Counter Project (MCP) began in February 2013 as a collaborative project between the WSIN RISS Center and the Hawaii High Intensity Drug Trafficking Area (HIDTA). The RISS MCP database and web application, developed and hosted by WSIN, can be accessed through the RISS Secure Cloud (RISSNET) Portal. The purpose of the application and database is to store currency serial numbers for comparison to currency submitted by officers in previous cases. Authorized users can query the MCP database to determine whether a note has been previously stored. The RISS MCP was built to house currency-based case information for participating law enforcement officers and agencies. Case information is established by utilizing the various import/upload capabilities within the RISS MCP application. 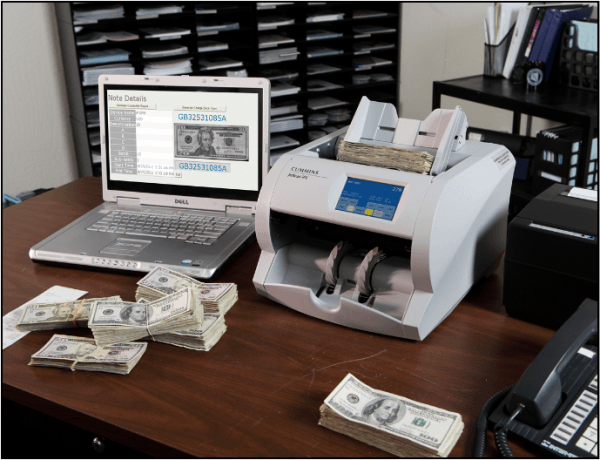 Currency information—such as serial number, denomination, currency type, and full front and back images of the note—is quickly captured and stored by money counter scanning devices, then uploaded into the RISS MCP database by the case officer. Serial Number Search—Enables the user to perform multinumber serial number inquiries. Case Query—Provides the user with the ability to compare serial numbers in cases against the entire RISS MCP database. Scan Currency—Offers an interactive process that supports an authorized user during currency scanning and uploading. Import Data—Enables the authorized user to upload a file that contains serial numbers and images. Case Maintenance—Enables the user to verify and update contacts, delete cases, delete batches, and view batch or case details. MCP Status—Allows the user to track the progress of the background processing of case uploads and case deletions. Reports—Contains several preformatted reports, ranging from activity reports to case reports. Download Software—Redirects the user to the MCP software download page. Only the case officer and a secondary contact officer are permitted to access an entire case file. Only these authorized users can add, remove, and edit information in the case file itself. In addition, these users will have the ability to compare entire cases against the RISS MCP database, using the “case query” process. The RISS MCP has implemented the Auto Query function. This new feature automatically compares all incoming batches, once uploaded, against the entire database. Together with the Auto Query, the RISS MCP now performs Auto Notifications on hits. When the Auto Query determines a hit against the incoming batch, notifications are sent to both matching agencies. The hit notifications are sent to the registered officer agency e-mail within the RISS membership database. “Suspect/Counterfeit Notes”—The RISS MCP now supports the storage and comparison of suspect notes. This enables agencies that have cases containing suspect or fraudulent notes to store and compare the serial numbers against the RISS MCP database. The Maui, Hawaii, Police Department (MPD) and the Honolulu, Hawaii, Federal Bureau of Investigation (FBI) began investigating a major drug distribution network operating on Maui in 2016. As part of the investigation, large amounts of cash were being covertly intercepted by investigators as they were being moved by the organization between islands. All of the intercepted cash was scanned into the RISS MCP with all serial numbers captured and stored into the MCP database. Following the scanning, the intercepted cash was returned to the mail for delivery. The case culminated with the seizure of approximately 23 pounds of crystal methamphetamine as it was being delivered to the organization. Immediately after the drug seizure, multiple search warrants were executed at several locations on different islands. The search warrants resulted in the seizure of over $100,000 in cash. Commingled with the cash seizures was $19,900 dollars in $100 bills with serial numbers matching the previously scanned monies that investigators had covertly intercepted and allowed to be delivered in the investigation. The use of RISS MCP assisted investigators in confirming the involvement of high-ranking members of the drug organization and their direct connection to illicit drug proceeds. The RISS MCP is a powerful tool to combat case-related crimes, such as drug trafficking, money laundering, counterfeiting, etc., and enables officers to “follow the money,” enhances investigative efforts, and assists with connecting cases. Accessing the RISS MCP is easy. Once a user has logged on to the RISSNET Portal at www.riss.net, he or she will have access to the RISS MCP. At the RISSNET Portal home page, locate the resource heading at the bottom of the page titled “Investigative” and select the RISS Money Counter Project. If you do not have access to the RISSNET Portal or for more information on how to receive access to this investigative resource, contact the WSIN Watch Center at (800) 952-5258. The public face of RISS on the Internet has a new look. In its effort to continually refresh its services, RISS has published a new public web page at www.riss.net. The RISS public website provides a public-facing Internet resource for presenting an overview of RISS products and resources and serves as a gateway to the RISS Secure Cloud (RISSNET) resources. The site is reimagined into a more modern and versatile cross-platform application, supported on all devices, including desktops, laptops, tablets, and mobile. The redesign is in step with RISS’s continuing efforts to move its services, resources, and security forward as technology advances. In its mission to support local, state, federal, and tribal criminal justice partners, RISS strives to keep its resources at the forefront of industry standards and technological innovation, while giving its members and prospective members a more convenient and intuitive experience. The website itself is divided into sections that provide an overview of the RISS Program and its available resources, as well as RISS investigative services. The RISSNET resources section provides links to information on various RISSNET resources, including the RISS Criminal Intelligence Database (RISSIntel), the RISS Officer Safety Event Deconfliction System (RISSafe), the RISS Gang Program (RISSGang), the RISS Automated Trusted Information Exchange (ATIX), and more. The RISS Centers’ section provides information about each of the six regional centers, including state affiliations and points of contact. In addition, there is a link for signing in to RISSNET and access to each user’s available RISSNET resources. The Search feature enables users to search topics and resources available on the RISS public website. At the bottom of the page, an additional set of links provides access to policy documents, resources, and methods to connect with RISS. RISS is excited to share information about the new RISS public website and hopes that the RISS members find it a valuable resource in obtaining more information about RISS services and resources. We encourage you to visit the site often, because new information and features are constantly being added. A MAGLOCLEN video enhancement assisted the Frederick County, Maryland, State’s Attorney’s Office in obtaining a guilty verdict in a homicide trial. The video surveillance footage showed a fight outside a local club that led to a stabbing and, later, a homicide. The enhancement provided by MAGLOCLEN clearly depicted two female suspects passing a knife from one to the other, after which one of the suspects stabbed the victim, who later died. As a result of the enhanced video, criminal charges of homicide were lodged against the two female suspects. MAGLOCLEN’s equipment manager provided expert testimony at the homicide trial for one of the suspects. With the assistance of the enhanced video and the expert testimony, the suspect was found guilty of second-degree murder. The second suspect subsequently pled guilty to third-degree murder. The Rossville, Kansas, Police Department contacted the MOCIC intelligence research staff to obtain background information on a suspect in a narcotics investigation. As a result of the investigation, 11 suspects were arrested and authorities seized 9 pounds of marijuana, ½ ounce of cocaine, 45 weapons, and 300 pounds of silver. Authorities also discovered a marijuana grow, with 115 plants. 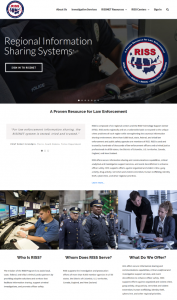 The Longmeadow, Massachusetts, Police Department solved multiple larcenies of high-end heirloom jewelry by utilizing RISSProp. Officers were notified by family members of an elderly resident who was missing approximately $96,000 in assorted gold heirloom jewelry, and they suspected that home health aides who take care of the victim might be responsible. Investigators used RISSProp to determine that one of the home health aides, along with a friend, had sold numerous pieces of jewelry at various Springfield, Massachusetts, shops. Approximately $44,000 in jewelry was recovered, and the remainder is still unaccounted for. Felony charges have been lodged against the suspects, and they have been arrested. The Eureka County, Nevada, Sheriff’s Office was called to a burned truck in the wilderness. A couple of days later, the deputies retrieved the vehicle identification number (VIN) from the vehicle and discovered that it had been involved in a parental kidnapping from Boise, Idaho, which was reported the same day that the truck was found. The RMIN Law Enforcement Information Coordinator (LEIC) for Nevada and Idaho assisted with coordination between the Boise Police Department and the Eureka County Sheriff’s Office. RMIN provided intelligence research and analytical and publications services to investigators in both states. Eureka County deputies searched the wilderness and found the suspect (flagged as armed and dangerous and a drug user) and his two little girls, who were rescued unharmed. The use of ROCIC/RISS information sharing services enabled the Waynesboro, Virginia, Police Department (WPD) to link suspects who had placed a credit card skimmer on a local automated teller machine (ATM) to a Romanian multistate organized criminal enterprise. 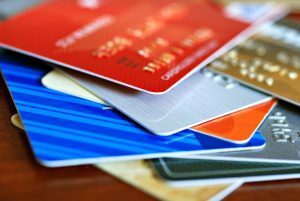 Initially, after ROCIC disseminated a bulletin depicting surveillance photos of the suspects in Waynesboro, a detective in Baltimore, Maryland, noted that the suspects had used credit card information to obtain cash in his jurisdiction. Newspaper articles were written about similar cases. Months later, a sergeant with the Cape Coral, Florida, Police Department noticed the newspaper accounts on the Internet and linked the suspects to fraud cases in his jurisdiction. ROCIC disseminated updated information, leading investigators with the Staunton, Virginia, Police Department to identify the suspects as those acting in their jurisdiction. With the cases tentatively linked, the investigations in Waynesboro, Staunton, and Baltimore were turned over to the United States Secret Service (USSS) for further investigation. Soon afterwards, the USSS and the Maryland State Police jointly served search-and-arrest warrants in Baltimore that resulted in three arrests for access device fraud (two federal and one state) and the seizure of two laptop computers, three magnetic stripe re-encoding machines, skimmer assembly tools and components, nearly 80 credit/debit cards, and more than $4,000 in U.S. currency. It was determined that the Romanian organized crime group had used information obtained from the skimmers to fraudulently withdraw about $400,000 cash in multiple states. The WPD noted that its case never would have been linked to this criminal operation without the information sharing services of ROCIC. 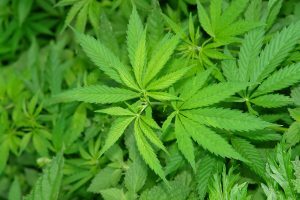 The Mariposa County, California, Sheriff’s Office (MCSO) started an investigation into the cultivation and sales of marijuana involving a subject of Chinese descent. At the time, there was not enough evidence to prosecute. Later on, a structure fire uncovered another marijuana growing operation with a link to the original suspect. WSIN was contacted by the MCSO to submit an entry to the RISS Criminal Intelligence Database (RISSIntel) for the primary suspect, and the MCSO was, in turn, contacted by the U.S. Department of Homeland Security regarding its multiyear investigation involving the human trafficking of Chinese nationals and prostitution rings. The MCSO was able to pool intelligence and resources with the federal investigators and identify multiple other involved subjects and residences. After numerous search warrants were secured, a total of 11 properties were searched and 15 suspects were identified. Seizures included $6,700 in U.S. currency and 14 firearms, and approximately 4,700 marijuana plants were eradicated. Two of the suspects were ultimately convicted and sentenced at the federal level for multiple crimes, and the rest were handled at the state level. Without the assistance of WSIN, these operations (including marijuana and human trafficking) would have continued for an unknown amount of time. Through the efforts of WSIN, the MCSO made a nexus from local drug violations to a nationwide trafficking operation and pooled intelligence and resources with a federal agency that had not been worked with previously to bring these operations to a stop. All defendants’ cases have been adjudicated.